The Mary Wattis Brown Garden of California Native Plants includes an extensive collection of native plants that work well in home landscapes, arrayed along meandering paths under stately oaks. The garden showcases a native meadow—a California-style lawn—and many Arboretum All-Stars, our recommended plants for Valley-wise gardens. 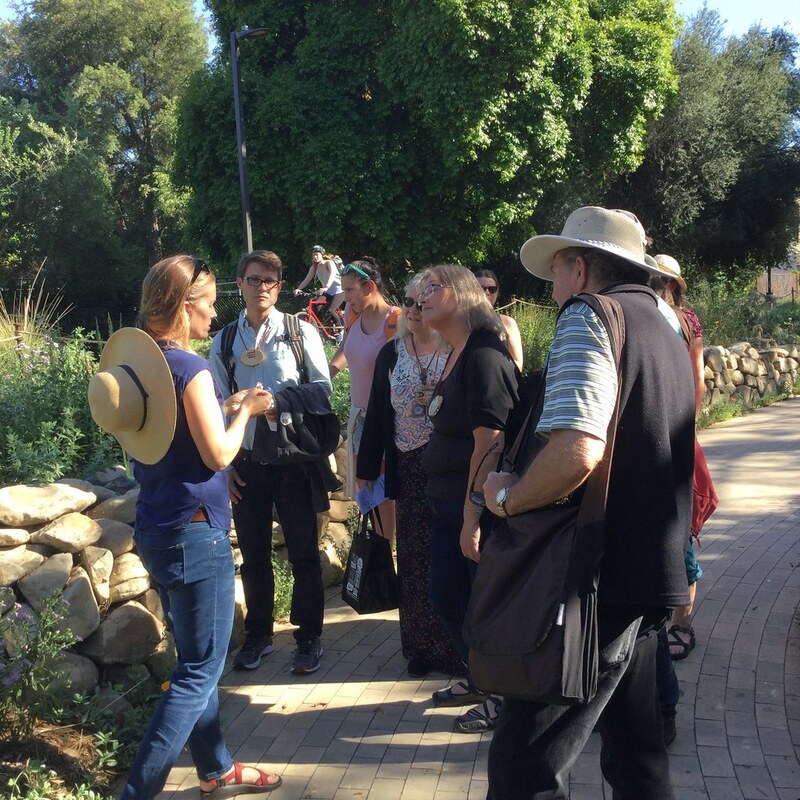 Mary Wattis Brown was an avid gardener and botanist who recognized the need for education to promote conservation of California’s wild heritage. Native plants often need less water and care than other garden plants. 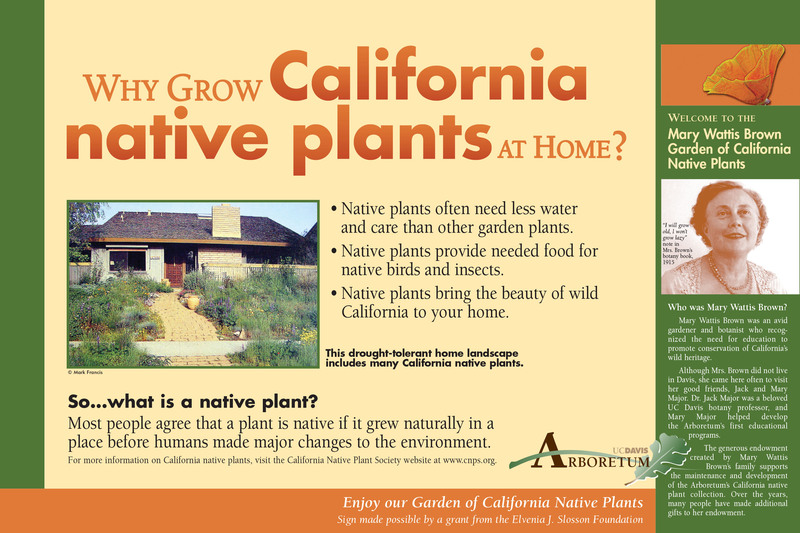 California native grass landscapes require much less mowing and water than a traditional lawn and help you connect to California’s natural heritage at home. People often like the smell of the aromatic oils found in sage leaves. These same oils actually repel hungry insects, making sages pest resistant.